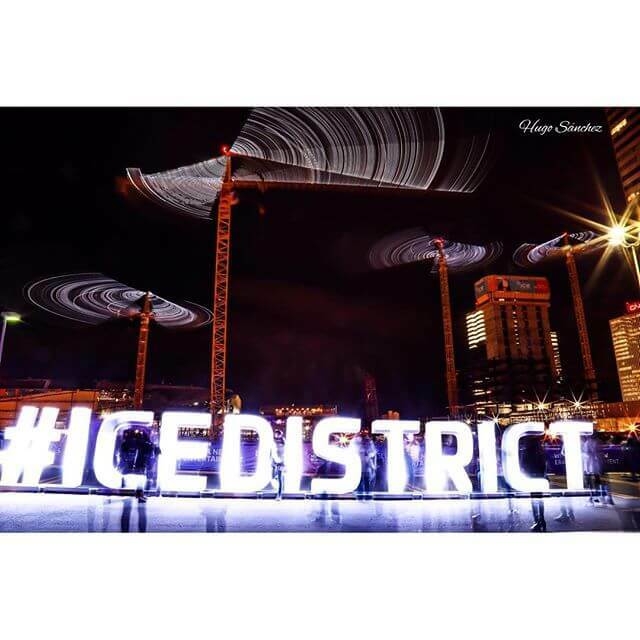 At 11 p.m. on Saturday September 26, the massive construction cranes that Edmontonians see every day as they build the much-anticipated Ice District, will come alive as part of the Ice District’s sponsorship of Nuit Blanche, entitled “Dance of the Cranes Presented By Ice District”. 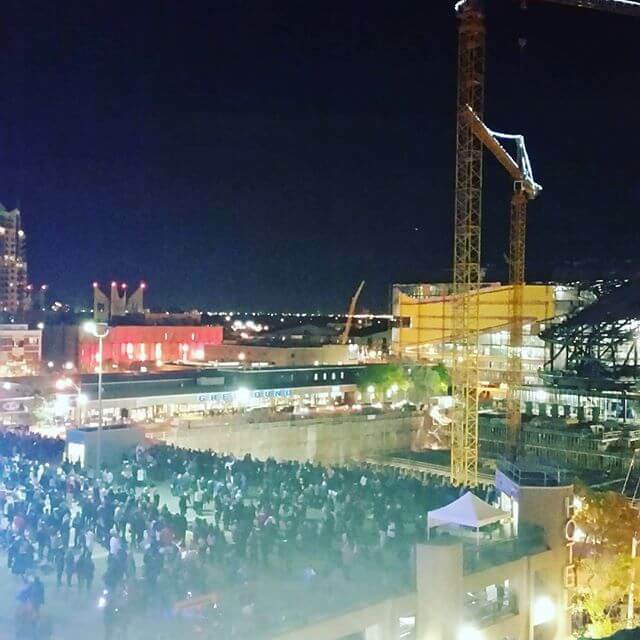 The four 800-tonne Ice District cranes, that are building the largest mixed-use sports and entertainment district in Canada, also home to the new Roger Place arena, will be choreographed to music through the vision of Canadian artist Brandon Vickerd as a way to celebrate the Ice District in Edmonton. Public relations is by Brookline Public Relations, who are coordinating the media relations for the exhibit, including hosting a sneak-peek for media last week who got a chance to witness the cranes in action. Brookline will also be hosting media Saturday night to ensure they get the best spot in the house for this once-in-a-lifetime show.